I hope you'll indulge me in sharing some thoughts today. As is my blogging prerogative, I haven't bothered to find a consistent theme or revise. Did you ever know or babysit kids when you were young who referred to using the bathroom as "having a b.m."? I did. They were always a bit odd, but I have a feeling they grew to be successful adults. Maybe I can confirm on Facebook? Speaking of having a feeling, I have a feeling my foster dog is pregnant. She sleeps all day and has big nips. I have no idea if this is an indication of pregnancy—I'm not a veterinarian! And I didn't grow up learning at the knee of one either, for some reason—but I just feel like she might be. She gets spayed next Monday so we'll see what happens and if the 14th amendment comes into play. Yesterday Sam used the sewing machine to fix a hole in his sweater and today Ben fried his own egg. I think it's wonderful! Are my expectations too low? Or are my sons advanced for 16 and 11? It's hard to gauge. Also, everyone is talking about how cool Jared Leto is and how he should win an Oscar. I haven't seen Dallas Buyers Club. I imagine that it's quite good, but in this discussion of how cool and talented and how great Jared Leto looks at 42 no one—NO ONE—has mentioned how pedestrian his music is. He's the front man for 30 Seconds to Mars, which has always taken itself too seriously. 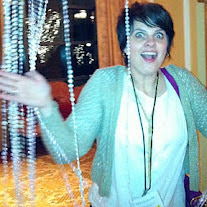 And finally, here are links to my Babble posts. Read them! It will prove to Babble that I am good and worthwhile and also you will like them. You will probably like them. Here's the Mike Rowe story about his Walmart commercial. Maybe you already read it when Mike Rowe HIMSELF linked to it on Facebook. Please quit stalking me, Mike Rowe. I covered the movie Noah, which hopes to appeal to Christians and non-believers alike. All I know is that my Sunday School class is very excited for it to come out. Here are some good pictures of Princes William and Harry cradling fake burlap babies I mean sandbagging a flooding town in Berkshire. And this is a pretty cool "Sweet Child o' Mine" cover done New Orleans Jazz style. I like it. Do you? Are you having a good day?Are you having a good b.m.? Do you know when dogs are pregnant? 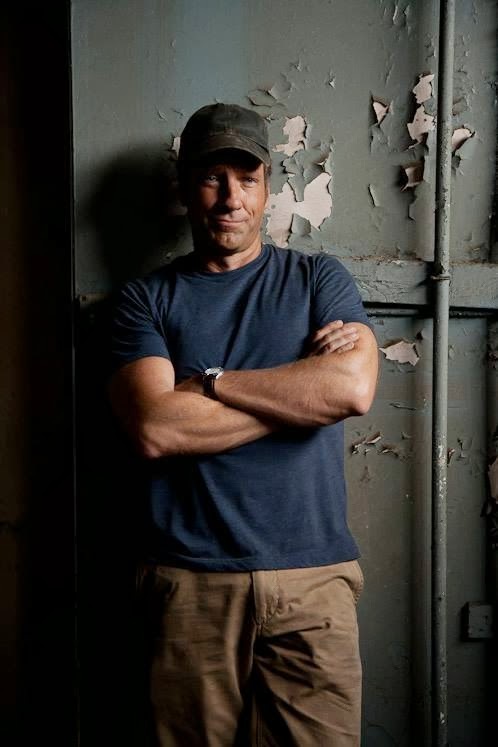 Is Mike Rowe stalking you? I hope the answer to all of those questions is a resounding "Yes!" Have you heard Sweet Child O' Mine Bossa Nova? I babysat for my piano teacher, and they called it "feces," which totally grossed me out. The dad also kept a basket of socks by the front door so any barefoot piano students wouldn't get their "foot oils" on his carpet. Winnie the Pooh had the most no-nonsense approach to this. He was simply Pooh Bear, and also went just by Pooh. "Whosoever declareth more or less than this, the same is not of me, but is against me; therefore he is not of my hundred acre wood..."